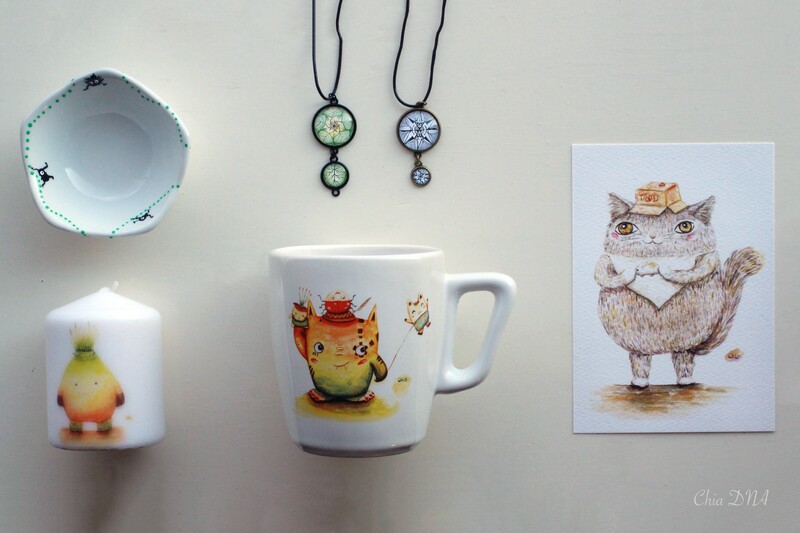 Chia DNA offers self-made daily life products with unique art and interesting illustrations, ex: hand painted and handmade cups, plates etc.. Now you can buy Chia DNA’s product online: Chia DNA online shop. – Illustration: Children Book illustration, Game illustration, posters. – Game Design: Game Concept Art, Game illustration, Game concept. * If you would like to buy my Original art in my portfolio or have any questions, please feel free to contact me!